Can Commercial Shipping Companies Ship Art? It is not a secret that millions of products are shipped around the world on a daily basis. 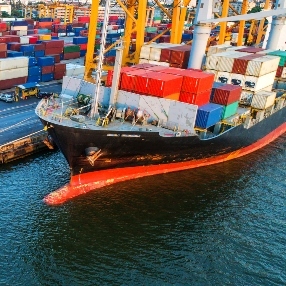 The commercial shipping industry is huge, with many reliable companies offering their shipping and freight services to businesses and individuals. However, these companies are not all the same. For example, if you are shipping heavy equipment, boats, excavators, fire engines, trucks, or anything else that can be towed or driven, you will hardly do it without the help of commercial shipping companies. The same applies to a whole range of goods that are shipped in large quantities in special containers. However, what if you need to ship a collection of rare and valuable paintings? How about a museum-quality, antique marble sculpture? Can commercial shipping companies ship art and antiques that are very fragile and/or sensitive to heat, cold, and moisture? The truth is that fine art shipping is a challenging process that requires certain skill, knowledge, and experience. As a result, not all commercial shipping companies can handle this task properly, so if you want your precious possessions to arrive at the destination in pristine condition, you should be very careful when choosing international freight shippers for this job. The good news is that there are many professional art moving companies specializing in shipping valuables and collectibles of any kind, and Fine Art Shippers is one of them. At Fine Art Shippers, we have years of experience in shipping fine art, antiques, luxury furniture, religious artifacts, musical instruments, and a whole range of other delicate items in any quantities. Moreover, for today, we have offices in New York City and London, and also reliable agents all over the world, including mainland China and Hong Kong, which allows us to provide comprehensive international transportation services for any need. Can art moving companies ship large freight? It is interesting that while not all commercial shipping companies can ship art, most art moving companies can ship heavy equipment and other large items, provided they have all the necessary resources, of course. After all, if the company can handle fragile and valuable works of art and huge sculptures estimated at hundreds and millions of dollars, they can also handle any other objects, no matter their size and weight. Anyway, it is always recommended to check whether the chosen company has enough experience in shipping your particular type of goods before making a choice.